One of the band's collaborators posted a series of photos of the group in studio as they work on their ninth album. The images have been taken down - but we've got all the pictures here. 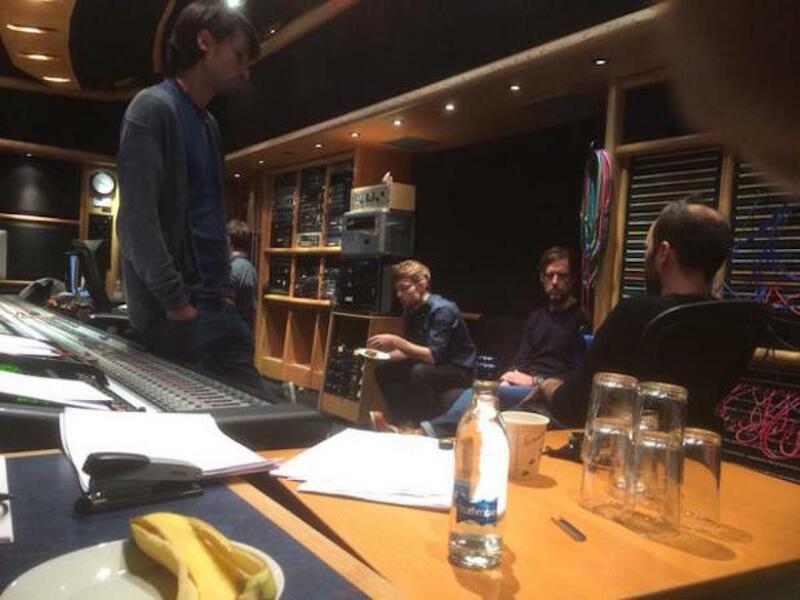 Composer Robert Ziegler not only confirmed that he was working with Radiohead on their follow-up to King of Limbs but also posted some sneaky pictures of the band. It seems that Thom Yorke and the boys didn't want the images released just yet, as Ziegler has since apparently deleted his Tweets on the band. According to drummer Phil Selway, the new LP should be finished soon with the group "launching" themselves into the vital finishing touches over the next few weeks. Ziegler has worked with Jonny Greenwood on his work scoring films and also helped out on the King of Limbs. 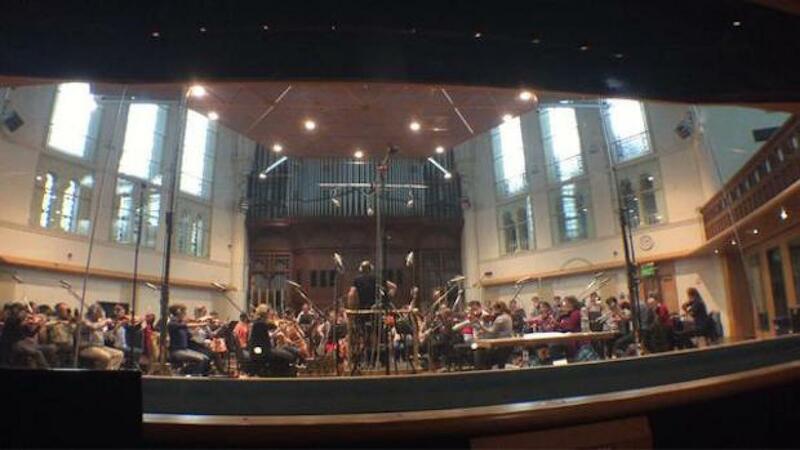 His photos show the band listening back to tracks and in one intriguing picture (below), a full orchestra apparently contributing to the record. Of course there are also the nagging rumours that Radiohead might be involved with the new Bond theme song - could that be why the strings were in the studio with the boys?